In this day and age aesthetic treatments like botox, laser peel or restylane injections and various surgical procedures are a common way for men and women to enhance their looks, but it is good to remember that it is also super important to take great care of our skin after these procedures. 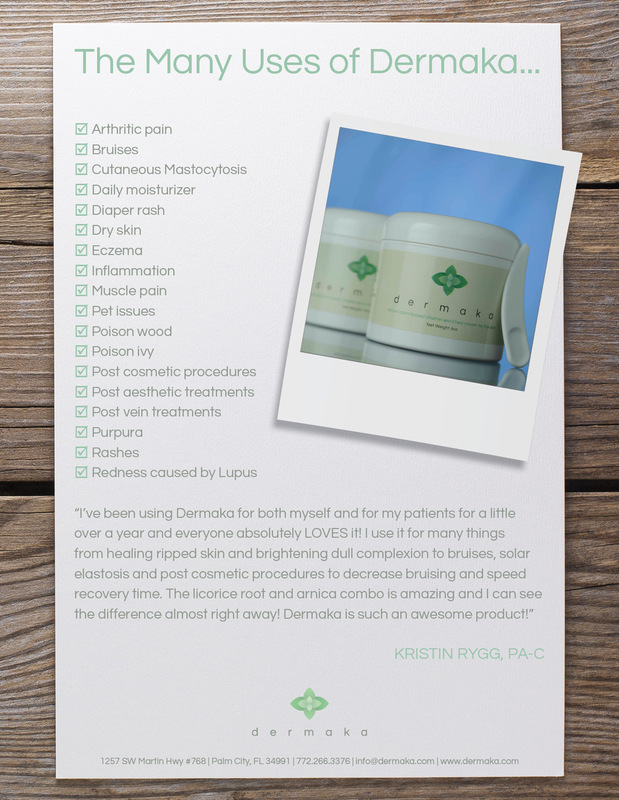 Dermaka is a dermatologically approved cream that will reduce redness, inflammation and bruising. It does not contain chemicals and is made with natural plant extracts and vitamins that will help your skin recover and heal faster. I'm going to post more information about this product this week, so stay tuned!